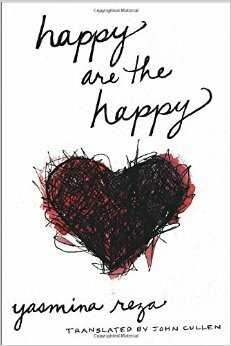 Happy are the Happy is an examination of real-life as absurd as it can be. Yasmina Reza begins her collection of short stories with a fight in a cheese aisle. From here she tells the story of a unhappy happy group of people. Each person seems to have a perfect life to their friends, but each person yearns for more. Her stories offer an interesting look into what we don’t see behind closed doors. “Madmen and wretches have all been children, they played as you did, they believed something beautiful was waiting for them.” Don’t write this, but I’ve thought for a long time I wouldn’t be anything more than a shooting star in this profession. Both the men and women in these stories have very little concern for the fact that they are hurting their spouses. Instead they are just focused on their own selfish desires. Reza’s writing reveals the emotional needs of every man and woman: the need to feel wanted, the need to feel heard, and above all, the need to feel normal. Reza’s characters range from young 20’s to over 60 and as a result their concerns range. The impending reality of death is ever-present in the older characters’ minds. Ernest seems like the only character who has accepted his fate. He has little concern for the new technologies that exist, he hates reading his newspaper online, and he hardly cares for his wife anymore. His only concern left is what he will do with his body when he passes. All that our eyes can see is already in the past. I’m not sad. Things are made to disappear. I’ll vanish without a fuss. There will be no coffin and no bones. Everything will go on as it has always done. Everything will float blithely away on the water. Could you put some lighthearted person in my way, someone I can laugh with and who likes to go on walks? Surely you know someone who’d keep the ends of his scarf crossed and smoothed flat under an old-fashioned coat, who’d hold me with a solid arm and lead me through the snowy forest and never get us lost. Among the hundreds of bodies I desire, I’d like to come across one with a talent for wounding me. Philip and Maguerite are searching for that missing piece in their life. They are not ready to accept their fate like Ernest Blot is. This search for perfection is normal for everyone. These characters do not write of all that is right in their life; they write of what they desire. and those who can do without love. Each character loves and has those who love them, but none of these characters can do without love. To be happy is simply to be happy. It is to be fulfilled by the love one has and not yearn for more. No one is truly happy… we are all searching for more. 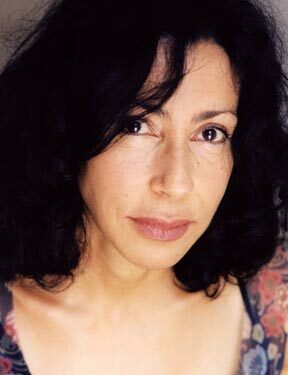 Yasmina Reza is a playwright and novelist. Her works have been translated into more than thirty languages. Her plays “Art” and “God of Carnage” have both won Tony awards and the latter was adapted into a film in 2011. Her works include Dawn, Dusk, or Night: A Year with Nicolas Sarkozy, Desolation, Life x3, The Unexpected Man, and Conversations After a Burial. She lives in Paris. John Cullen is the translator of many books from Spanish, French, German, and Italian, including Yasmina Khadra’s Middle East Trilogy, Eduardo Sacheri’s The Secret in Their Eyes, Carlos Zanón’s The Barcelona Brothers, and Rithy Panh’s The Elimination. He lives in upstate New York.